surface scratches. 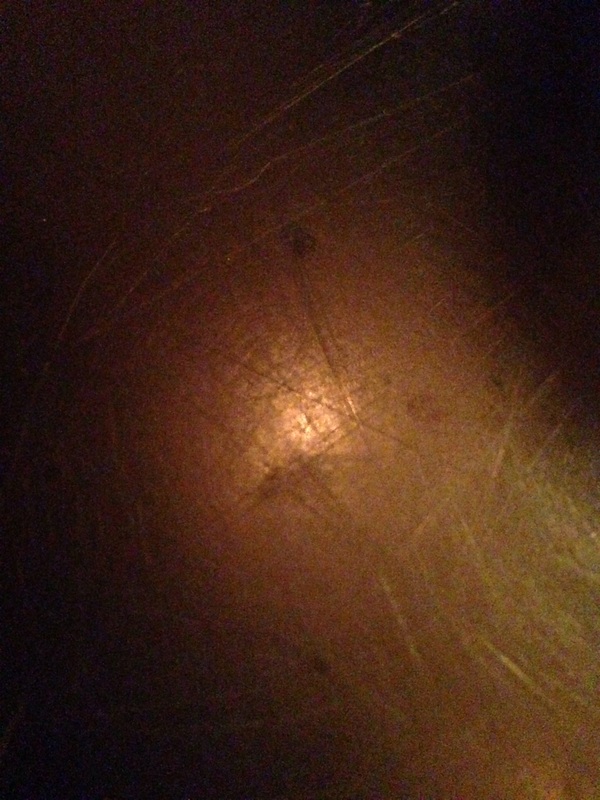 | GLENN RED L.A.
Finding that my gaze had fallen onto the dining table where I was perched this evening, my eyes followed the grain and soon focused on the matrix of minute scratches etched into the wood’s surface. Despite these hundreds or even thousands of surface blemishes, from afar the wood retains its beauty both in its rich dark color and in its all important levelness. Yet we don’t get to see all of it, the beautiful insides that hold it all together. It’s an apt metaphor for understanding lots of things, from friendships to relationships to your inner self. Look beneath the surface–beyond both the beauty and the blemishes–and find the real goodness. Be fearless in sanding down and peeling away the outer layers to show the you that you both love and loathe, the you that you both regale and keep in the shadows. In deejayspeak, go beyond the scratch and dig deeper. This entry was posted in inspiration., random wisdom.. Bookmark the permalink.